This article explains how to turn on iCloud for Apple products, and how to download it for PC. Step 1:Go to the iCloud download website. Step 2:Click Download to download the latest version of the iCloud Control Panel. Step 3:When it is finished, click on the download (iCloudSetup.exe) to install the program on your computer. Step 5:Click Next> to begin setup. Step 6:Select I accept the terms in the license agreement. Click Next>. Step 7:Check whether to automatically update iCloud Control Panel and other Apple software on your computer. Click Install. Step 8:Enter your username and password, if prompted. Step 9:The program will install. Click Finish when it is complete. Step 10:You will be prompted to restart your computer. Choose to restart now or later. Step 11:After restarting, iCloud will automatically open. Enter your Apple ID and password, then click Sign in. Step 12:The iCloud Control Panel will open. 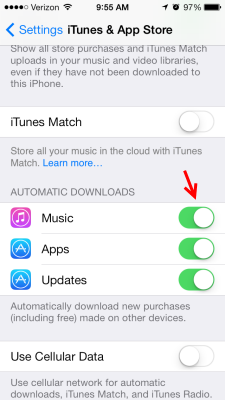 If you enabled automatic downloads on your iOS device, you must also enable them on your computer through iTunes. This will allow you to sync music, apps, and books between iTunes and your device. Step 1:Open iTunes. If you do not already have it, Download iTunes from the Apple website. Step 2:Click the Menu icon in the top left corner. Step 4:Click the Store icon from the top menu. Step 5:Under Automatic Downloads, check Music, Apps, and/or Books. 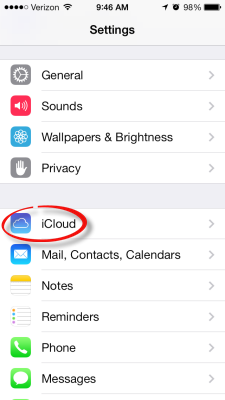 Click OK.
You must first set up iCloud on your iOS device, or iPhone, iPod, or iPad. Step 1:Click the Apple menu in the upper left corner. Step 2:Choose System Preferences. Step 3:Select iCloud from the Internet & Wireless section. Step 4:Sign in with your Apple ID. The iCloud Control Panel will open. Step 1:Tap the Settings icon. Step 3:Enter your Apple ID. Step 4:Once activated, you may choose what to store on iCloud. Step 5:Turn on iCloud for your PC or Mac computer. 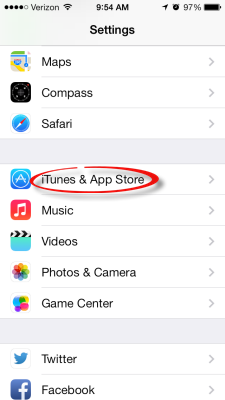 Allowing automatic downloads will sync music, apps, books, and/or updates between devices. Step 2:Select iTunes & App Store. Step 3:Scroll down to the Automatic Updates section. Choose which features to turn on or off. For example, if you choose to turn Music on, it will sync all music purchases between your iOS devices and iTunes on your computer.